One of the premier Mussar works of the past millenia, Chovos Halevovos is a basic textbook for both the chassidic and non-chassidic worldview. 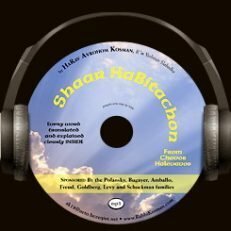 Shaar Bitachon offers an inner world of tranquility based on closeness to Hashem and awareness of His presence. Every word is read, translated and explained clearly inside.